Your home is likely a work in progress. Most of us find projects here and there that need our attention sooner rather than later. However perfect that home might have seemed when you moved in, chances are you will have found something that needs some work—that wallpaper in the guest bathroom, kitchen tile or increasingly outdated carpet in the living room. Remember that your windows matter, too. If you are looking into window replacement in or near Scottsdale, AZ, note that there are local professionals prepared to walk you through the process and discuss your various options. And make no mistake. There are plenty of options, and good ones, too. The first thing to do is assess your needs with respect to your current windows. How old are those windows? 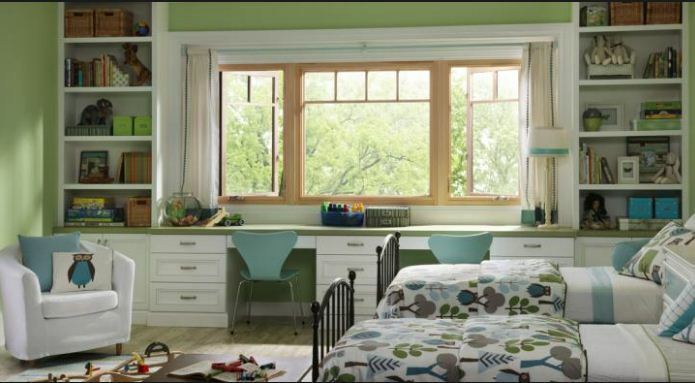 If they are at least 15 to 20 years old, it is at least time to begin thinking about new windows. You may even wish to have them inspected. At minimum, you should look to see whether or not your windows are still functioning properly (whether they open and shut without getting stuck, for example). You may also wish to check and see if the frames are warping or are otherwise damaged. The elements can do a lot of things to those windows, and you should make sure that they haven’t reached the end of their lifespan. Note that particularly adverse weather conditions can have an effect on your windows, as well. There are any number of signs that it may be time for those old windows to go. If your glass is fogging up, there is a good chance there is a problem. If certain rooms are beginning to let in drafts, your windows may be responsible. And if your energy bills appear to have increased over the last couple of years, old windows may indeed be to blame. You may also wish to discuss your windows with family, perhaps even a designer. Even if there is nothing that is technically wrong with your windows, you may simply wish to update you’re the look and feel thereof. If there is a consensus that a new look is in order, replacing your windows might make sense. Making the move may be especially wise if you are otherwise updating your interior or exterior. Families often replace their windows when they plan on installing new siding or a new roof. It makes sense to bring windows along for the ride. Finally, think about the kind of investment you are willing to make. Wood windows are often fairly expensive, but they provide a very classic look that certainly fits many homes. Fiberglass windows are more expensive than their vinyl cousins, but they are very strong and last for a very long period of time. These are the kinds of things you will have to think about before making a final decision. If you are seriously thinking about window replacement in the Scottsdale, AZ, area, consider reaching out to Cougar Windows & Doors. We have a proud history of serving our customers in a friendly and professional fashion. We look forward to meeting your window needs, as well. You can visit us at 3820 E Main St Ste 5, Mesa, AZ 85205 or place a phone call to (480) 699-9066.